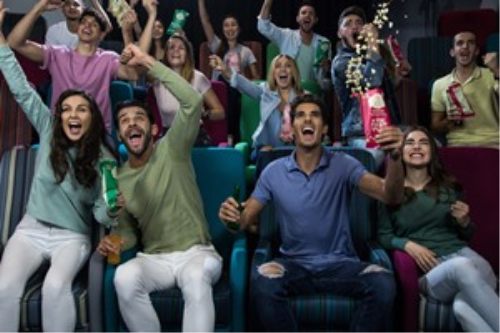 Guests of the new avant-garde Rove Downtown hotel in Dubai will enjoy the latest movies in a stylish, casual-chic theater: Reel Boutique by Reel Cinemas at Rove Downtown. The best news for visitors? Reel Cinemas has selected Barco Laser projection to ensure that every movie scene features the best image quality! Juxtaposing Rove Downtown’s ornate charm with an edgy, inner-city vibe, the Reel Boutique at Rove Downtown invites guests to experience brilliant cinema the way it was meant to be enjoyed: fun and cozy! Guests can sink into plush recliners and sofas to enjoy the latest blockbuster in a 46-seat theater – the perfect treat after a long day of sightseeing. The Reel Boutique will also show sporting events, corporate presentations and host private parties to attract both entertainment-seeking and business audiences.